Citrus smoothies probably don’t get the attention they deserve, which is a shame because I believe they are as delicious as the more favoured berry smoothies. 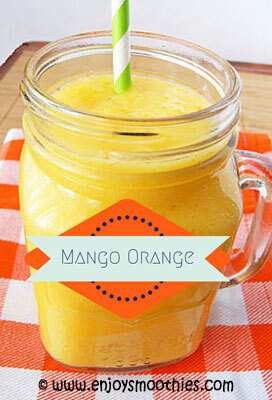 Combine this with a tropical fruit such as mango, and you have a great combination. Mangos are also high in vitamin C as well as being packed with fiber. The combination gives you a serious vitamin boost. Not only are they the most amazing color, but the combination of mango and orange produces a not too sweet, not too tart tasting drink. 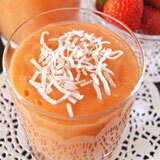 This is one of my favorite smoothie combinations. 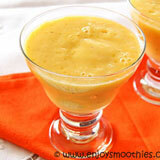 It’s not necessary to add banana to these smoothies, the mango will do the same job of thickening your smoothie. Adding yogurt will give you extra creaminess, it’s a little bit like sipping on a thick, creamy orange drink. Totally yum. 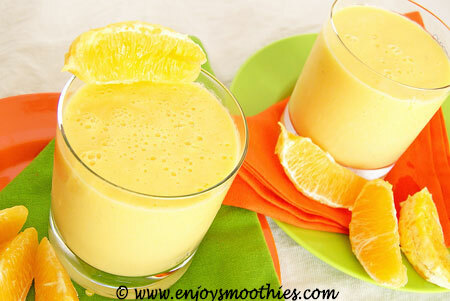 These mango orange smoothies will definitely deliver a little ray of sunshine to brighten up your day. Peel the mango and remove the pulp. Peel and segment the orange. Add to the blender along with the yogurt and almond milk. Blend until thick and creamy. Peel and de-seed the mango and peel and segment the orange. Place the fruit chunks into the blender then add the sliced pineapple, orange juice, coconut milk and grated ginger. Blend on high speed for about a minute or until smooth. 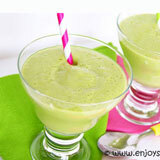 This smoothie may only contain three ingredients, but those three ingredients deliver a burst of flavour. 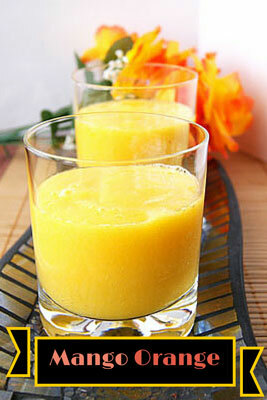 Consisting of just mango, orange pulp and juice it tastes just like a glass of orange juice, just thicker and creamier. Peel mango, remove the pit and cut into chunks. Peel and segment the orange. 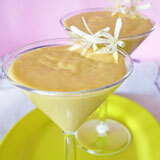 Place the mango, orange pulp and orange juice into the jug of a blender and process until smooth and creamy. For a smoother drink segment your orange first. Peel the orange using a sharp knife cutting away the pith and the peel. Then cut the segments out of the orange, removing the membranes.